Did your mother also compel you to eat your broccoli with the phrase, "There's a starving child in Africa who would love to eat my [overcooked] broccoli!" Did you know that nearly 35 million people in the US suffer from food poverty? The number in the European Union is actually higher: 43 million. In the UK alone, with its population of around 60 million, 4 million people do not have the food they need to live a healthy life. Considering these sobering statistics, you'd think the West had a serious shortage of food. We don't. 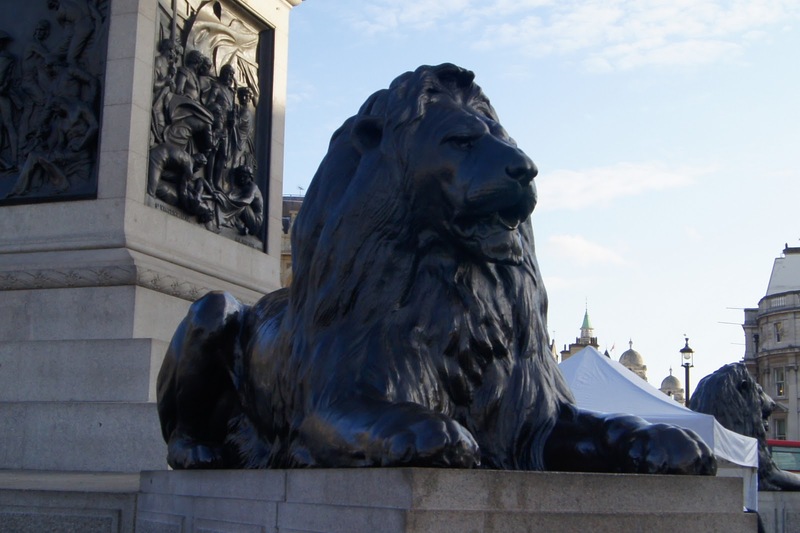 The UK actually has twice the amount of food it needs to meet the nutritional requirements of its 60 million. The EU has almost three times what it needs, and--hold onto your plate--the US has almost four times the amount of food required to feed 330 million people. 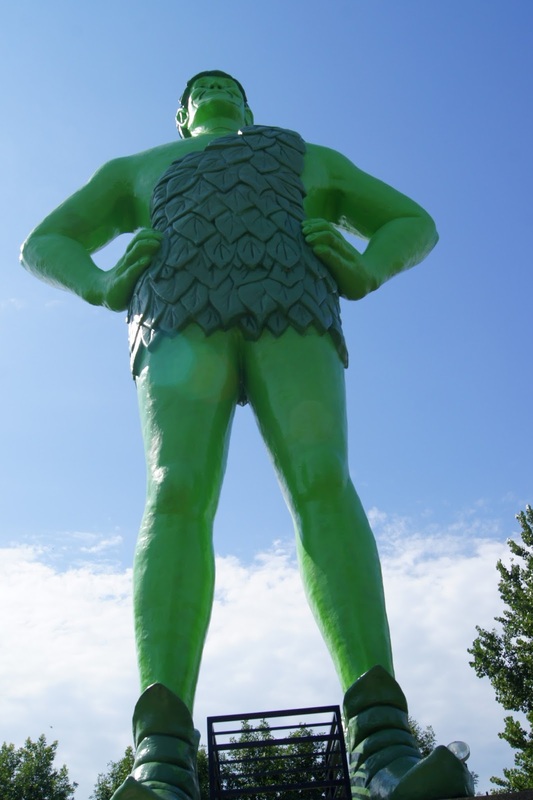 Ho ho ho, that's a lot of peas, Jolly Green Giant! Friday on my walk home from London Bridge to Canary Wharf, I took a detour--for uninteresting reasons--and ended up at Trafalgar Square in the middle of the Feeding the 5k event, whose goal it was to feed 5000 people a delicious-looking curry--made completely from food that would have been thrown away--between 12:00 and 14:00. OK, the feat with the loaves and the fishes was just a tad more impressive, yes, but Feeding the 5k had to do it without Jesus. Think about it. More statistics for you statistiphiles: US households, retailers and food services throw away 40 tons of food every year. UK households throw away a quarter of what they buy. And 20 to 40% of fruit and vegetables in Britain doesn't even reach the supermarkets. Why? Because they're not pretty enough. Feeding the 5k doesn't care how pretty the carrot is or how misshapen the potato is. Actually, the carrot handed to me in the crowd at Trafalgar Square on Friday looked good enough to eat. The point? We have enough food to meet the needs of our growing global population; we simply have to manage that food better. Maybe we need to think about who "we" are. Maybe I can't send my mother's broccoli to Africa, but I can try to be more mindful of food waste. Actually, I come from an adorable family who don't waste food. Once, when my mother was in the hospital, my father made a soup out of everything in the fridge. He was so proud of that soup. It was a memorable soup. Friday's Feeding the 5k event was the second of its kind, the first being in 2009. If you're interested in learning more, go HERE, where I got the statistics for this post. There are lots more there. 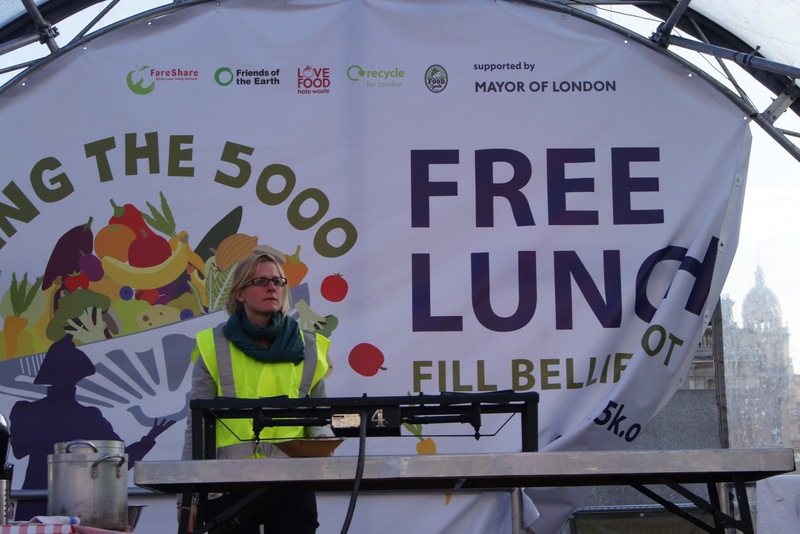 Feeding the 5k is sponsored by the Mayor of London and a host of organizations including FareShare, Love Food Hate Waste, Friends of the Earth, Recycle of London and Food Cycle. Christopher Allen is the author of the absurdist satire Conversations with S. Teri O'Type, a parodic pastiche of sitcom America and its influence on gay identity. Available from Amazon Anything. A GREAT and important point, and one very fitting to the Occupy stuff--there is PLENTY, but it isn't distributed fairly, and the SYSTEM of distribution is only stacked to make it more and more unfair as time goes. I love that London did this. I'd like to see it done all over. I know the restaurant I worked at years ago, even though we weren't supposed to, when there was a MISTAKE, we'd box it like a to-go meal and set it to the SIDE of the garbage with a note (free)--it was always gone later. Hey, Hart! Thank you for stopping by! We did something similar at the restaurant where I worked. On the way back to the kitchen, we just ate what the people left on their plates. Or licked it off. Yeah, we were hungry. I'd like to see the Feeding the 5000 event expanded too. a VERY good point. I try to have the hotels I work with donate our left over food to shelters and such but unfortunately, there's pretty strict health codes that sometimes prevent it. A very important and timely post on Thanksgiving Eve in the USA, Christopher. Just as we need to be mindful about how we spend and save our money, we need to manage our own food choices better to minimize waste and feed the masses. It starts with each of us and ripples out to restaurants, hotels, and organizations. What a fantastic creative idea that highlights hunger. I'm curious to as how the curry tasted.